June is a bleak month for me. It's the start of the glare of winter everywhere you look. It’s when I celebrate my birthday. I just don’t have a soulmate or life partner, children, some family life to celebrate it with. It’s a quiet meal with my parents. It’s spent in silence or listening to soft music. Classical music or opera. He was like a stranger on a train or someone that you bumped into on a busy street. Someone you would never see again in your life. He taught me everything that I know about life and I want him to know that. There’s a good chance he will never read this and there is a part of me that is thankful for that. Do not beg someone to take you back. Do not beg someone to listen to you, appreciate you, adore you, praise you, exalt you if they don’t want to. If they don’t want to thank you, love you, celebrate you with complex gestures because it will never make you feel as if you are enough leave it there and please, please walk away for you own peace of mind. Choose having your sanity over having a broken heart. As if you fit in or belong in their society or crowd. In the end you are only traffic. Traffic that they have to pull through. Push past to get home. The thing is they don’t want you to change their world. You’re not good enough for that! They only want you to think that you are changing their world. And the ones that truly do not love you they do not want you to be a part of their world. The only reality you are living in if you give someone else everything, if you open your heart to a stranger is a kind of pretty falsehood. Never start a conversation with a stranger, a strange man like that. I did. I did it all the time but women, young women, no, girls, can get away with it with their dreamy eyes, legs encased in stockings, feet in heels, hair swept up from the nape of their neck. Girls can get away with anything. No matter how tall and gorgeous he is. No matter how attracted you are to him. There was an ocean behind his eyes. His scuffed boots. I don’t smoke anymore. Not since high school and I’ve never been attracted to boys anyway. I’ve almost always been attracted to the older male. I was a girl once. You’re only a girl once and when you’re young the world belongs to you and no one else. Time is made up of eternity! You don’t know what the word ‘age’ means or sagging anything. You make up the rules as you go along. You have your heart broken so, so many times but you don’t care because you’re young. You think that you can live forever and get away with it. You’re a hunter. Other women stare you down. Other women mark their territory before you even get there. This is the life of married women and the single girls flying solo in the city. To me, when I was young once, the world was just as beautiful as he, the love, the light, the flame of my life was. My father told me this would happen. A long time ago. Some conversation we had over the relationships between men and women. I listened to him with an open heart like I always did. Why was love so difficult, I asked him. Why had it never happened to me, I asked. Life is always difficult I assumed from an early age if you’re gifted in some way. I always thought everyone was gifted anyway. Even intellect has a gorgeous soul. Don’t forget that. You’re small now, love of my life, your image at the back of my mind has lost some of its light. Your threads and wires have no connection to me anymore. Your country has disappeared off the map. Your hands are like your mouth. Skilled. You have the moves, the personality and the selfish motives of every artist. There’s no spark here anymore because hasn’t it been years. No foam, no fizz, or spangled banner. Nearly two decades. There’s a wound for you now. Illness. The despair and negative images of chronic illness. Illness is a deep, bright flash (in the pan). You’re a bird. You’re language. You’re just so stupidly brave and handsome, a pageant dream. You, you love another. You’re poison. You’re part of the dunes at the beach. Hot. You can’t fall into my arms and I can’t fall into yours. Conversations were all we had and that was enough for your innocent. Me. You’re lucky I don’t love you anymore. You’re lucky I am only writing you into history. Cry with me. Drink with me. Swim with me. Take me hostage in your arms like you did once before. Your interest had a sanguine power over me. You’re something winter. I go down to the beach in my hometown, Port Elizabeth, to walk with my mother on a hot summer’s day. Eat lemon ice cream. Put change into the hat of a busker. Only to forget about Johannesburg. The Johannesburg people. We never danced with each other. We never went clubbing. You’re under water. Under this sky you don’t belong but I do. The thing about illness is that it doesn’t hover. It’s eyes are as blue as the sky. It’s as simple as making a grocery list. Walking down the aisles pushing a trolley or making your way through a shopping mall. Everything seems to be brightly lit in the daylight. What is the whisper of the fractured song of life without fear, without struggle or intense hardship that we are afraid we will never overcome. You were wise to leave me standing there in the vacant parking lot. I thought my spirit would be broken forever. I thought I would never see paradise again or feel the heaven’s open up and wash me clean. Love can break you but it just has so much sweetness that there is no getting over it. Eat, the birth of of children respecting their parents, suspect, live, dream, holler, yell, thieve, the tough guts of secrets, the glory of recovery passing into time! Giving the keys to your personal space to people that you consider friend or as close to you as family. We want to be lifted up through activities. That makes us feel at the end of the day vital and fresh and new. I never thought I would find someone like you. Don’t forget me I want to say as you turn around and leave me standing in an empty parking lot. All I want to do is to see you face in front of me because you were that one amazing thing. These activities gives us hope and eventually even our adrenaline becomes numb through creativity, through the process of thought to start things that have never been started before. Artists are overprotective people. They want to mock, identify, praise, transform the crowds found in society. You’re the one thing that made me feel beautiful but I am far away. So are you. You’re in another city and all I have is my family and the complex, complicated relationship that I have with them. I don’t have you anymore. All the memory of you does is make me long for you and the illusion of you. Of course I know now I was more in love, infatuated really with the illusion of you but excuse me my head and my broken heart is still a mess. I still believe that I was made for you though. These stories still don’t mean anything but it’s the truth and that’s all I have. I have the truth on my side. I was conditioned to think that way since I was a very small child. 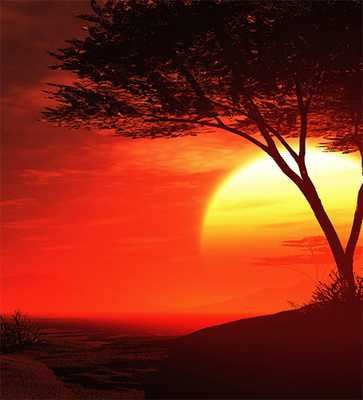 That every day like clockwork the world would have a new beginning. It was always books for me and not university degrees or having children and the big, spacious house. It’s literature that survives. We think we should leave it all up to our fate, the stars but look closely now. It is all up to us. I came home. After lovers and friendships, boyfriends and the fever of workplace gossip to life. You’re nothing but a burden to me now, lover and that makes me feel depressive. Not a good state of mind to have but it’s in my DNA anyway. There’s nothing to stand in my way of loving someone else except that. Back home, growing up we had a tooth fairy and a town mouse and a country mouse. I thought my children would inherit all of that. We climbed our father’s back when money was tight growing up and picked ‘leaves made out of money’ off his back. Money would always materialise out of nowhere for hamburger heaven before the end of the month. He taught me to sacrifice everything for family and to this day I still do what he taught me. I found him, the leader, the mentor, the spiritual guru, there in rooms made of illness and wounds. I found his spirit and tethered my own to his. This made me feel safe. That I could keep my childhood under lock and key without anyone else ever finding out about it. He thinks that I am innocent but I have news for him. I’m not and I’m for real when I say that. I mean it. I loved my father. Any daughter loves her father. It didn’t matter that I called him ‘father’, or ‘dad’, or ‘pops’. Didn’t matter that we went on quasi-dates and Sunday drives and ate our Sunday lunch in expensive hotel restaurants. Just the two of us. What was I missing out on? What did I give him that my mother never did? I listened to him. Like the men in my past, the Johannesburg men, I listened to them too. I would eat my ice cream, licking the spoon, my hands sticky, my mouth and lips cold, and watch him while he read his newspaper in his grown up work attire. Shirt, tie, fancy church pants. We were made up of the same genes. That counted for something. Our house was the biggest one on the street in our suburb. Our dad was the cleverest dad. He had got himself out of poverty. Educated himself. He had a university degree. I didn’t know anything about the woman he married. The woman, my mother. So elegant and so cold. In her hands I was clay and she would make clay animals out of me. She would mold the clay with her hands as if she was a potter, and everyday I had a different personality. I was a different person. I just could not help myself. I wanted to be cute so she would like me. So she would clap for me like everybody else did. Mum could do things with her hands. Make magic. She was good at that or not so good at it when she was unhappy. I did not know what made her unhappy. I had so much truth in me when I was a child. Nobody could tell me anything without me telling on them. I could not keep secrets. I still don’t as an adult. I want to create. Perhaps this why I create stories for a living now and isn’t every journalist a kind of a storyteller. In the same way an artist is, a painter, or a filmmaker. A journalist like all artists is always on the move. Always on the lookout for a scoop/inspiration. I was a woman who moved and lived half in this world and half in the dreamworld of her childhood. I never forgot the stories of my father. The Group Areas Act. Politics. My father, the rebel, at the University of the Western Cape. and then he gets a faraway look in his eyes. I only knew that what I did and what I did not do or say made my mum unhappy. I saw it in her eyes. I saw it in her movements. I wanted her to love me but new that was impossible. I longed for her to be my friend and that we could share things but we never did. She did not know that she would invest both the good of happiness and unhappiness in her children. Mom, dad, kids. Unhappy mum, manic depressive dad, three talented, precocious kids. This is not my first rodeo. Nor my first illness. My first wound. My first hurt. This, this moment is not where it all began. It began a long time ago. In Port Elizabeth to be exact. On the streets of Gelvandale. Korsten. Bethelsdorp. Oh, way back then I was innocent. Very young. Too young. A girl. I didn’t know anything about boys, kissing boys until I felt faint, lightheaded and dizzy and I didn’t know anything about the torment of chronic illness and bipolar then either. The two would merge later on in my life. Shatter me, my mind, psyche, intellectual capacity into a million pieces. I guess that’s life. It catches you unawares. It’s as unpredictable as the weather. I never went searching for love or intimacy in all the wrong places. It found me and once it found me it would never let me go. I write about it so often (have been writing about it for years into essays that people have told me are not essays, and stories, and poems, that my younger sister has never seen or appreciated). What makes you tick, what do you do for a living people have asked me in the past and the only thing that I really want to say to that is nothing. I have no words because I know that they won’t really understand what I do. I think of the capacity that we have to love. Only humanity has that kind of capacity. We can love. We can leave. We can withdraw but it leaves its mark on us without even realising it. We have the same capacity to forgive. Love. Forgiving. It comes with the territory of families. To taste the juggernaut of the power of darkness, of the hyper drive of mania you can’t only be a witness. You have to be in there awash in the guts and the glory of life. Life is about so many things. Unhappy mum, manic depressive dad, precocious children, daughters who are too big for their britches. It’s not easy to love people who have high opinions of themselves. It’s not easy to love anyone. Anything. For every treasured possession in the world there is only one of you. Once I wanted you to live with me, in my house, call it home, sanctuary, whatever you, you, you wanted. Now all I want is to be on my own. All I want is not my history rewritten. I want to be left alone. Every so often I wake up and say. Oh, now bipolar you’re in business. It happens every two years or so. Every year and a half. I wake up and I have a new personality. I am a new person. The people I am closest to have no idea who I am. The very first time this happened I lost everything. I lost Johannesburg. The one thing I always wanted. There were other things too that I lost. My reputation. My friends. My life. A steady boyfriend. Of course people don’t really know that you’re losing it. That you’re in the throes of having a nervous breakdown. The truth is neither do you. You fall. You flail. You quit doing things that you love with your whole heart. I hope that my love understands this one day. That it wasn’t always up to me. It’s my madness, not yours for the taking, I want to tell him this. Show him my heart to this day so that some part of me will make up for what I said in a heated moment. Something I can’t take back even after all this time has passed. Some kind of eternity! 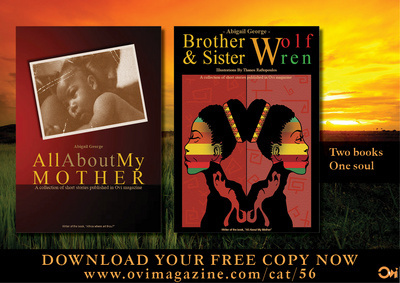 Don't miss to check for Abigail George's books and download them for FREE in the Ovi-bookshelves HERE! You are such a Wonderful Wonder ! !